Madeira’s subtropical climate makes it a year round destination. Temperatures are Mediterranean and quite stable throughout the year. This together with its unique topography, its traditions and its nature turn Madeira Island into a favorite tourism destination. The average temperatures vary between 17 and 23 degrees. This climate is ideal for many outdoor activities such as walking or hiking along the famous water channels called levadas. Madeira’s climate is also optimal for more adventurous activities such as canyoning, diving, surfing, paragliding, and sailing. The map below shows the average temperatures on the Island. On average temperatures in the South are slightly higher. However temperatures vary between locations. Ponta do Sol, Calheta, and Ponta Delgada are some of the areas enjoying a remarkable micro-climate. Remember that temperatures decrease as elevation goes up. Just as temperatures decrease with altitude, average rainfall is equally dependent on your location on the island. Once again, the micro-climates of Ponta do Sol, Calheta, and Ponta Delgada are clearly visible. Madeira island is known for its many micro-climates. Even thought is a relatively small island , the weather can change several times during one day if you remain in one spot. The weather can also change greatly just a few kilometers further. Clouds come and go quickly so do not despair if you see them arrive. The clouds may clear or you can change your activities accordingly. 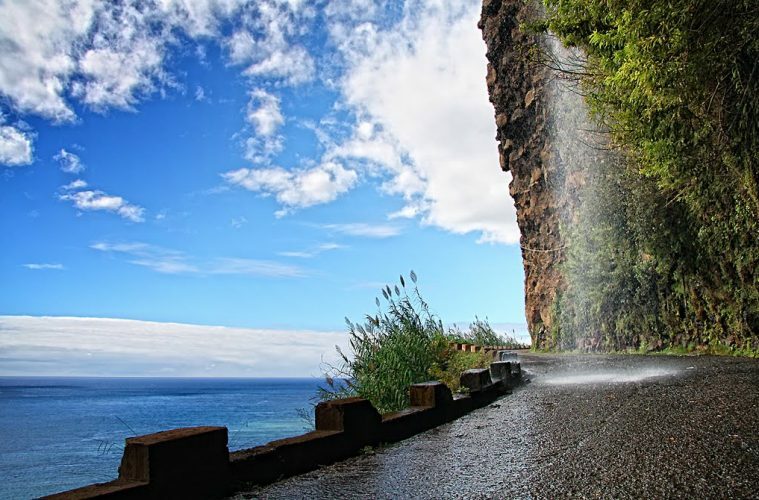 Further, it is sometimes possible to witness the four seasons in one day on Madeira. This very complete weather site about Madeira Island is very useful and accurate.